Talking about where you want to be when you die isn’t an easy conversation to have, and it wasn’t something that the Caddy family had talked about. But when Carol Caddy came to Warwick Myton Hospice to cheer her son Jason on as he finished our Cycle Challenge in 2016 she decided Myton was the place she wanted to spend her final days. Carol had returned from a holiday in 2013 feeling unwell. After a visit to her doctor she was quickly referred to Warwick Hospital and diagnosed with Bowel Cancer. The tumour was large, but doctors were confident they could reduce it with Chemotherapy and Radiotherapy, and then remove it. Despite complications after her surgery – and several follow-up surgeries – Carol was eventually given the all clear in 2015. She and her daughter Shelley joined Slimming World together when Carol was given a clean bill of health. A few months on Carol had come down with a bug between weigh-ins and joked that she would definitely be down a few pounds because she hadn’t been able to eat much, but when she stepped on the scales she had gained weight. By the next week Carol had still not been able to eat much but had gained more weight again. The alarm bells began ringing and she went to see her doctor about the mysterious weight gain. 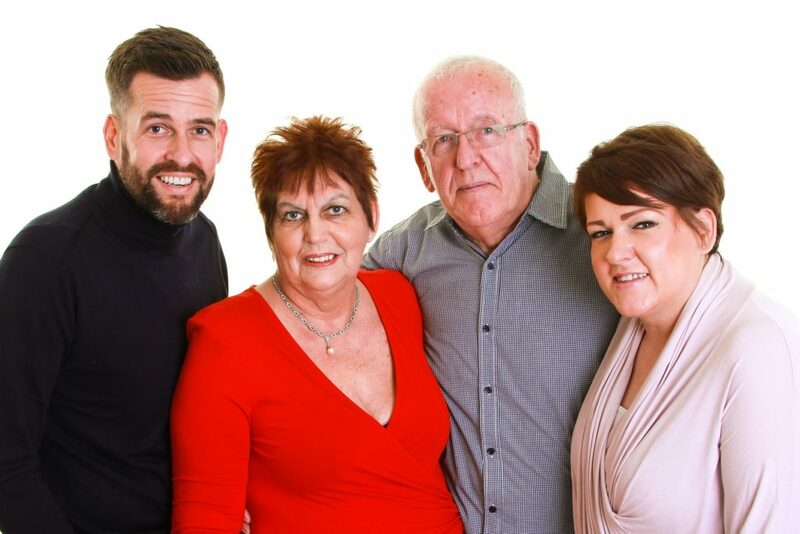 Just a few months after being given the all clear, the family were told the devastating news that the Cancer had returned to Carol’s stomach lining, and that it was incurable. Her initial prognosis was 18 to 23 months and she was prescribed an intensive fortnightly course of Chemotherapy to contain the Cancer. Carol’s weight gain had been caused by extra fluid in the stomach being produced as a result of the Cancer. Doctors drained 11 litres of fluid following the diagnosis, and another nine litres a week later. 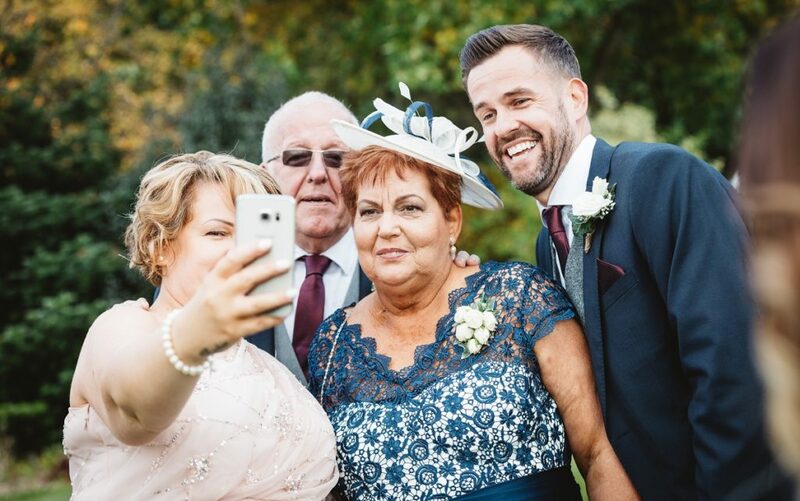 Jason and Shelley both remember their mum being very particular about their hair when they were growing up, and when she had started the intensive course of Chemotherapy Carol was insistent that she wanted to have a wig fitting before her hair started to fall out. Her hair had thinned from her previous Chemotherapy but not fallen out, and she had been warned the high dosage of Chemotherapy this time would more than likely cause her hair to fall out. 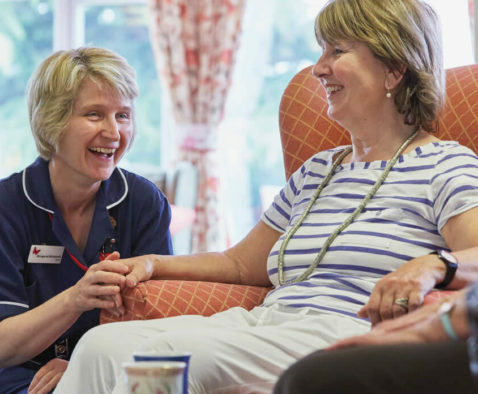 For over a year Carol continued with the Chemotherapy course, and it was during this time she visited Warwick Myton Hospice for the first time. Jason is a keen cyclist and a member of the Warwick Lantern Rouge Cycling Club. He decided to take on the 100km route of our Cycle Challenge in 2016 and asked his parents to meet him at the finish line at our Warwick Hospice. It was a beautiful August afternoon and both Carol and her husband Tony were enjoying relaxing in the hospice gardens after Jason completed his ride. 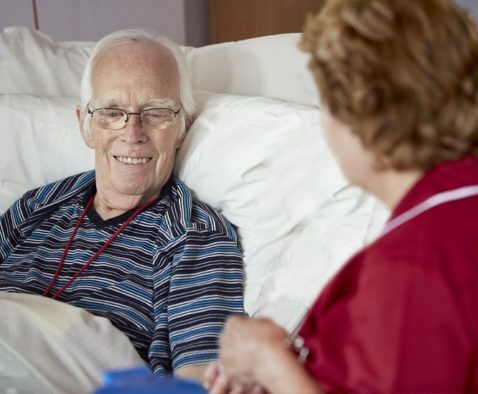 Although the family hadn’t spoken about what would happen when Carol’s health deteriorated, both Jason and Shelley were aware of the services Myton provides and agree that their mum seeing the Warwick Hospice in casual circumstances probably allayed any fears she had about what the hospice was like. 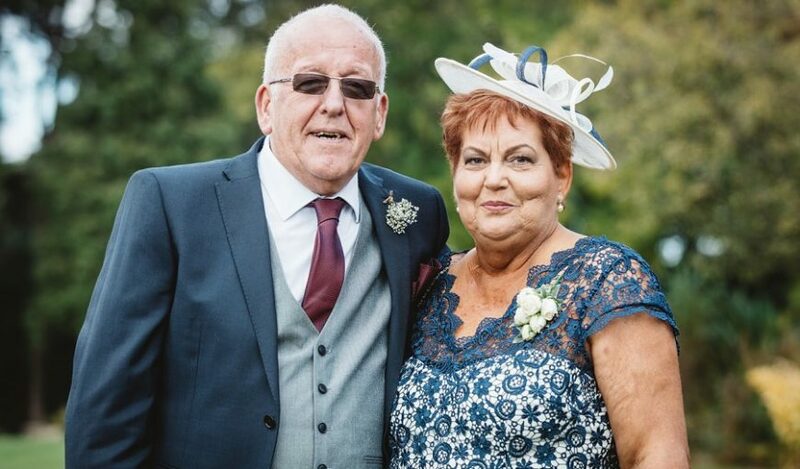 Carol’s health deteriorated in December 2016 and she was finding it more and more difficult to get comfortable – the fluid was building up in her stomach again but she was too weak to undergo the draining procedure she had had previously. After a short stay in hospital at the start of 2017, Carol was admitted to Warwick Myton Hospice on 7th February and sadly died ten days later. We never sat round as the four of us to talk about what was going to happen at the end – we wanted to let Mum make her own mind up about it. I invited her and Dad to watch me finish the bike ride and I think in her mind it was her way of having a sly look around Myton and seeing if it would suit her. Looking back, it was probably a loaded question from me too. It was very personal at Myton; Mum had her own room, we could all come and go as we wanted. Towards the end we didn’t really want to leave Mum and for a couple of nights used the family accommodation. There was that worry about just going home for some sleep and a shower and then potentially getting an urgent phone call and having to try and get back here – traffic can be awful and we didn’t want to get stuck trying to make it back for Mum. We’re really grateful for that, it was fantastic. We could never have cared for her and made her as comfortable and pain free if she’d have been at home. The volunteers on the IPU were amazing too; we didn’t want much other than to spend time with Mum but if we did want a cup of tea or chat they were there. It was the best place looking back. Shelley said: “After Myton was mentioned once it was the talked about more and more. When Mum was in hospital we were restricted on visiting times and the ward she was on wouldn’t let kids in. The nurses did let us sneak the grandkids in for her. It was nice at Myton not to have those restrictions; no matter what time it was we could come and go as we wanted. Carol spent one last weekend at home before coming to Myton to organise what items of clothing or jewellery she wanted to go to certain people. Shelley now hopes to organise the rest of her mum’s extensive collection of clothes to sell on and raise money to buy a better coffee machine for the Inpatient Unit at our Warwick Hospice! 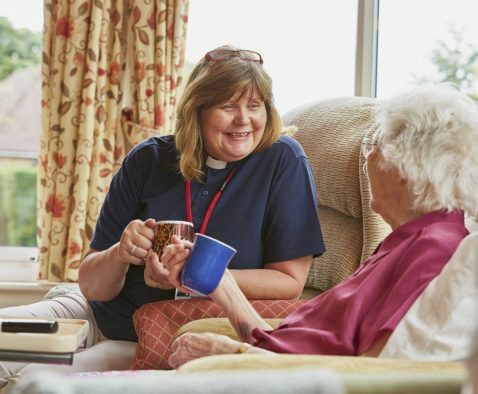 She is a self-confessed coffee snob and wants to leave her own mark on the Inpatient Unit after spending many hours there – and drinking many, many cups of coffee there. And Jason has raised around £6,000 this year for Myton by taking on the Wales in a Day cycle and the 100 mile route of our Cycle Challenge.